I'm a straight as narrow type of person. What you see is what you get, no agenda, no game, no anything. I am not malice or cunning. If I come across as one, then you're giving me way too much credit !!! I have a hard time fibbing, even white lie, and never would you see me sucking up to a person. Not that I don't want to ;-) the thoughts and desires are strong, it's just the Spirit in me would whisper, "don't do it !!! it's not who the Lord made you to be", and I listened. I feel at this age, almost half of an average of a life span, I am still learning how to communicate effectively. I assumed people know my intentions, and it proves over and over again that's not the case. I need to constantly communicate my good intentions in words and actions. This week, being on the other side of the fence, witnessing some unkind words and twisting of facts, it makes me feel crappy. I don't know why people do that, they gained nothing, and loose more. They lost people's trust, respects, and worst, people don't want to be around them, and steer clear of at the sight of them. While I am no where near their league, it makes me think hard about how I communicate. Our words are so powerful, more than we even know. We can put a smile on a person's face or shame and crush their spirit, all with words. 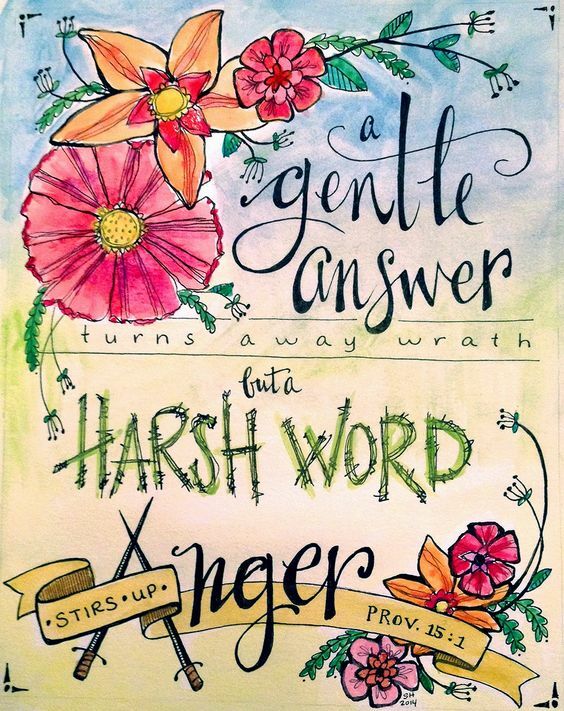 Proverbs 15:1 came to mind, "A gentle answer turns away wrath, but a harsh word stirs up anger". It is so true. A great reminder for me to think hard before I speak. Are my words building up or crushing down ? It's always always better to encourage and lift someone up because it has a longer lasting effect on them, and it flow to the people around them. I know this first hand, being the one who received kindness and gentleness. Dear Lord, oh how I desire to be more like You !